On the surface this could have denigrated to a bog-standard jingoistic thriller as America takes on the sinister activities of of Al-Queda, but the quality of Wolf’s plotting and attention to procedural detail really makes this an intelligent and compelling read. With a nail-biting use of suspense, Wolf unravels the layers behind the work of the U.S. intelligence agencies and the methods employ to track down suspected terrorists, as they plot to implement what could be the most devastating terror attack on U.S. soil since 9/11. I learnt a huge amount about the machinations and interdepartmental cooperation and operations between all branches of the US intelligence services under the umbrella of Homeland Security, and their daily struggle to contain the threat of terrorism.Throughout the course of the book, Wolf focuses on intelligence garnered in the wake of Osama Bin Laden’s death, and the careful study of material left behind which provides valuable clues to the imminence of an attack, whilst carefully laying a trail of red herrings and blind alleys for the reader as to who the bad guys really are and arousing our suspicions throughout. As Fisk and his cohorts endeavour to uncover the truth behind the plot, you can as a reader really feel the tension building to a fever pitch which ratchets up the pace and the need to keep those pages turning. With the focus being so much on the pace of the plot and the procedural methods employed by Fisk and his colleagues, I was concerned that maybe the characterisation would suffer, but my fears were groundless. Fisk came across as an incredibly realistic and likeable character, and through his interation with his fellow investigator, Krina Gersten, on both a professional and personal level, it added an interesting fission to the main plot. Likewise, Wolf captures perfectly the characters of ‘The Six’ an unlikely band of, for the most part, normal people hurled into the glare of the media, and the personal way in which this affects them all and how they respond to this bewildering attention. There is a good interplay between this disparate group both with each other, and those that seek to keep them protected from the greater threat that their status as American heroes affords them. I also particularly enjoyed a sub plot involving a female ‘sleeping agent’ and her motivations for her actions, and the overall balance in the narrative of the power of belief in a cause, evident in the actions of those who participate in terrorism and those who seek to defeat the them. To Wolf’s credit the terrorists do not fall victim to the normal thriller stereotyping, and are not portrayed as monsters, but rather as individuals with a firm strength of belief in their route to martyrdom. This was definitely a smarter-than-average terrorism centred thriller that genuinely kept me hooked throughout. 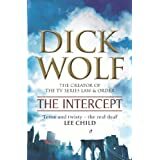 Obviously, with Wolf’s accomplished career in television, the book would translate perfectly to the screen with an incredibly visual quality and perfectly weighted plot, that cries out for either a TV mini-series or a movie. All in all a deft and highly original thriller that is well worth a read and I thoroughly enjoyed this one.